The unique puppetry used in The Muppet Musicians of Bremen – alternating marionettes with hand puppets and creating larger characters with mask-like headpieces for the puppeteers – made the program of special importance to Jim. 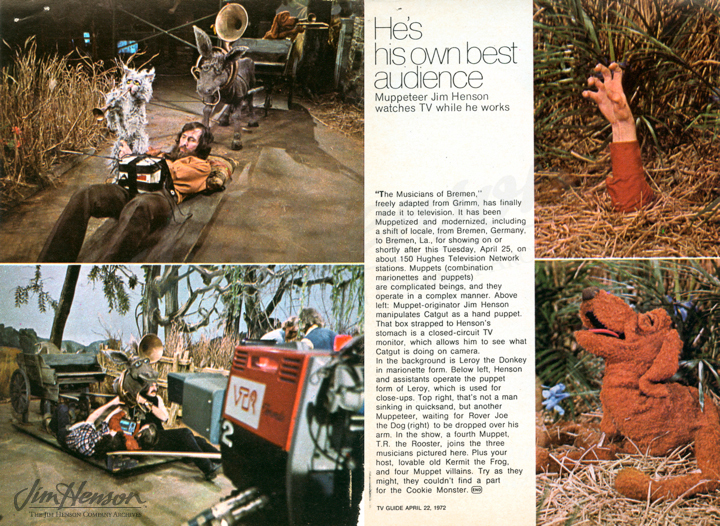 It must have been gratifying to have his work acknowledged with an article in what was then one of the most visible entertainment publications, TV Guide. Learn more details about Jim’s process for this distinctive program here and here. 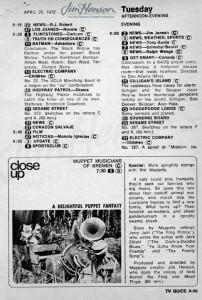 TV Guide coverage of The Muppet Musicians of Bremen, April 22-28, 1972. 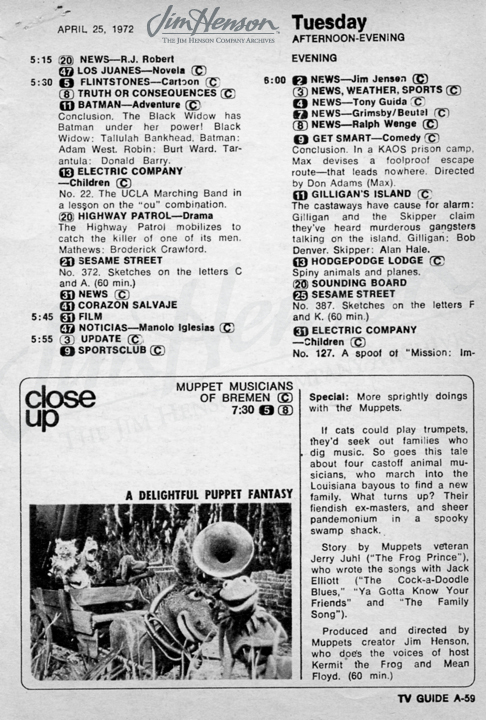 TV Guide’s listing for The Muppet Musicians of Bremen, April 25, 1972. This entry was posted in 04-April '72, 1972, Muppet Musicians of Bremen. Bookmark the permalink.